For a growing and dynamic company with operations from coast to coast, there’s always something happening. Here’s where we’ll post awards won, goals met and other things we want you to know. This year marks NPL Canada’s 25th anniversary. Founded in 1994 under the name Link-Line Construction, NPL Canada began as a small gas distribution and utility contractor in southern Ontario. 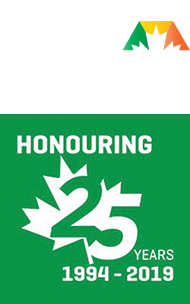 Over the past 25 years, it has grown into one of Canada’s premier underground utility contractors with an industry-leading reputation for safety, quality, and customer relationships.